First Prosecution for heritage as a War Crime may set precedent for Syria. The work of H4P is showcased in El Universal on October 10 2015 here. On October 27 it was reported that civilians were killed in Palmyra after Daesh tied them to historic columns and then blew them up. The article from the Telegraph can be found here. See also the Daily Mail report here and the BBC here. On October 16 Aleppo Archaeology shared a video shows an aerial view of government and rebels controlled areas of old Aleppo, showing the current state of the buildings. See the video here. On October 12 Palmyra News Updates reported that Daesh may have destroyed the remaining parts of the triumphal arch at Palmyra. See the status update here. 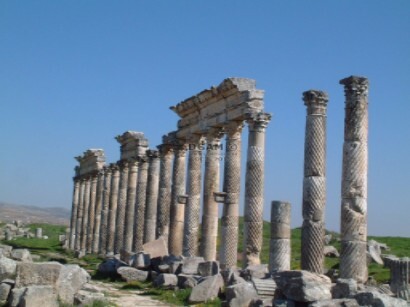 On October 22 2015, the DGAM confirmed that Apamea is still being looted, and the site continues to be damaged by fighting. Likewise Qasr Ibn Wardan, the church at al-Kastal, and the late Roman site of al-Andarin continue to be looted and have suffered heavy damage. For details, see here. On October 25 2015 the DGAM confirmed that sites around Quneitra are still subject to looting and vandalism, including ancient Tells and churches. The brief can be found here. A new study from Dartmouth University examines the widespread nature of looting in Syria, arguing that numerous groups are culpable of “widespread” looting. The story is covered by the Washington Post (October 21 2015) here and Artnet News (October 21 2015) here. The study was by Jesse Casana, and has been made available free online thanks to ASOR. 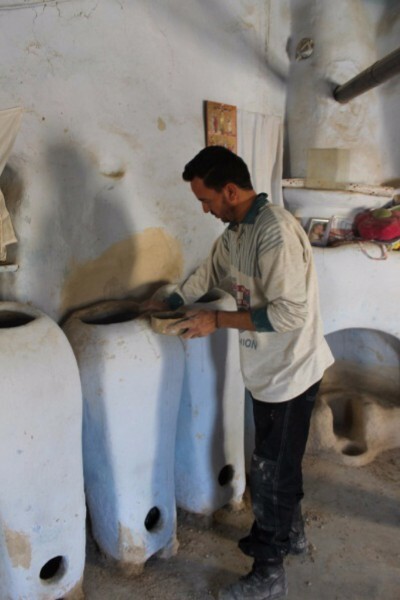 The DGAM is conducting restoration work in the town of Malloula, it reports on October 25 2015. See before and after pictures here. On October 21 2015 the DGAM provided an update on its restoration work in 2015, which took place at: Krak des Chevaliers; Homs; Damascus; Latakia; al-Hasakah; Bostra; and Tartus. See here. The DGAM reports on October 18 2015 that it has successfully conserved a number of late Roman floor mosaics at Afrin in northern Syria, in collaboration with the local community here. DGAM is suggesting that the planet orbiting star Errai-B should be called Palmyra. (October 26 2015). On October 19 2015 the DGAM reported that in collaboration with the University of Damascus, it held a workshop entitled “Emergency Measures to safeguard the Syrian Cultural Heritage during and after the Conflict”. For more details, see here. In a new partnership with Jordan, Italy “proposes an international task force to protect Iraq and Syria’s religious and cultural heritage sites from extremists and terrorists’ attacks” here. See also The Guardian on October 17 2015 here. This proposal for “Cultural Blue Helmets” was approved in principle by UNESCO, reports RT.com on October 20 2015 here. See comments on the Italian/Jordanian motion from the Gates of Nineveh Blog on October 20 2015 here. Lebanon and Italy work together to curb the illegal trade in antiquities, reports the Daily Star here. A new case against an Islamist militant at the International Criminal Court in The Hague may set a precedent for how the destruction of heritage is prosecuted in court, reports Reuters on October 9 2015 here. On October 21 2015 Wired.com takes a look at the New Palmyra Project, which released its first 3D modeled reconstructions on October 20, 2015, here. The article also discusses the work of jailed activist Bassel Khartabil, an inspiration for NPP. On October 20 2015 The Aleppo Project launched its website. The project aims “to gather as much as we can about the past of the city, document the horrors that have befallen it and think about what sort of future might lie ahead.” The website can be found here. Deakin University held a half day symopism entitled: “Heritage Destruction in the Middle East: Beyond the Media Hype”, on 15 October. The Workshop “The Future of the Past: Addressing the Cultural Heritage Crisis in Iraq and Syria” was held at 16-18 October 2015, at the Koç University Research Center for Anatolian Civilizations (RCAC) in Istanbul, organised by he Metropolitan Museum of Art, Columbia University and Koç University Research Center for Anatolian Civilizations. Those wishing to know more should contact the organisers. The US Department of State has released two videos from its conference “Conflict Antiquities: Forging a Public/Private Response to Save the Endangered Patrimony of Iraq and Syria”: The videos are available here and here. The Syrian Peace Action Centre hosted a 3-day event in Oslo, “The Question of Syria” (September 24-26) with panel discussions and film screenings about resistance, art and revolution in Syria. They introduced the work of Syrian artists and intellectuals and cultural actors. For details, see here. CyArk held their 500 Annual Summit in October 20-21 October in Berlin. The conference was titled “Resilience through Innovation: Countering escalating threats to cultural heritage by rethinking preservation though digital technology“. See the conference website for more information. The University of Pennsylvania’s Katharyn Hanson and her work to protect endangered sites are profiled on October 15 2015 on the university’s website here. HFP’s Greg Fisher writes about Arabian history for OUP on October 13 2014. 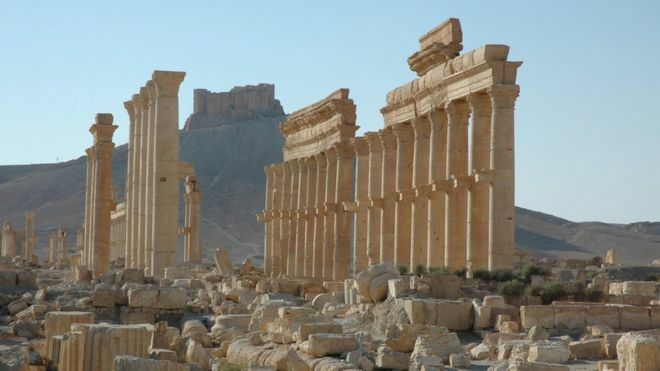 HFP’s Emma Cunliffe, who works for the Endangered Archaeology in the Middle East and North Africa Project (EAMENA) at Oxford University, writes about the work of her project in the Oxford Culture Review, taking ‘The Long View’ on the threat to cultural heritage in Syria and the wider MENA region (October 14 2015). On October 12 UNESCO provided a short video showcasing their efforts to protect cultural heritage under threat here. Maxwell L. Anderson for The Wall Street Journal looks at international efforts to save art from Daesh (October 20 2015) here. Nola.com looks at how looting funds Daesh on October 14 2015 here. Sputnik News examines the significance of Palmyra to Russians on October 10 2015 here. The Middle East Eye looks at the trade in stolen artefacts on October 14 2015 here. Amr al-Azm writing for Time (October 8 2015) considers why Daesh wants to destroy Syrian heritage here.